Fed's Unwinding Of Crisis Programs Expected To Push Up Interest Rates Very Gradually : The Two-Way The Federal Reserve in October will begin unwinding the extraordinary stimulus it used to battle the Great Recession. That means that over the long run, rates on car loans and mortgages could go up. Federal Reserve Board Chair Janet Yellen says the process of unwinding the central bank's massive bond holdings will be gradual. The Fed has already signaled the economy is strong enough to absorb higher short-term rates. It has raised them four times since the end of 2016. Wednesday's move to unwind its massive bond holdings is yet another sign of the Fed's confidence in the economy. In November 2008, in the midst of the financial crisis, former Fed Vice Chair Alan Blinder says, the central bank had already exhausted its main tool to fight recessions. "[Fed Chair] Ben Bernanke and company were then literally at a crossroads," he says. The Fed had reduced its benchmark interest rate to near zero, Blinder says. It could decide to say that's all we can do and "give up and hope for the best," or start inventing new instruments, he says. Fed officials chose the second alternative and came up with something called quantitative easing. It entailed buying huge amounts, ultimately $1.7 trillion, of mortgage-backed securities, the very financial instruments that helped trigger the crisis. That helped stabilize the market for those securities and revive the housing market. Over a series of three quantitative easing programs, the Fed also bought close to $2 trillion in Treasury bonds. That helped put more downward pressure on interest rates that supported borrowing and helped boost the economy. The program pushed the Fed's balance sheet from just under $1 trillion to $4.5 trillion in bonds and other securities. 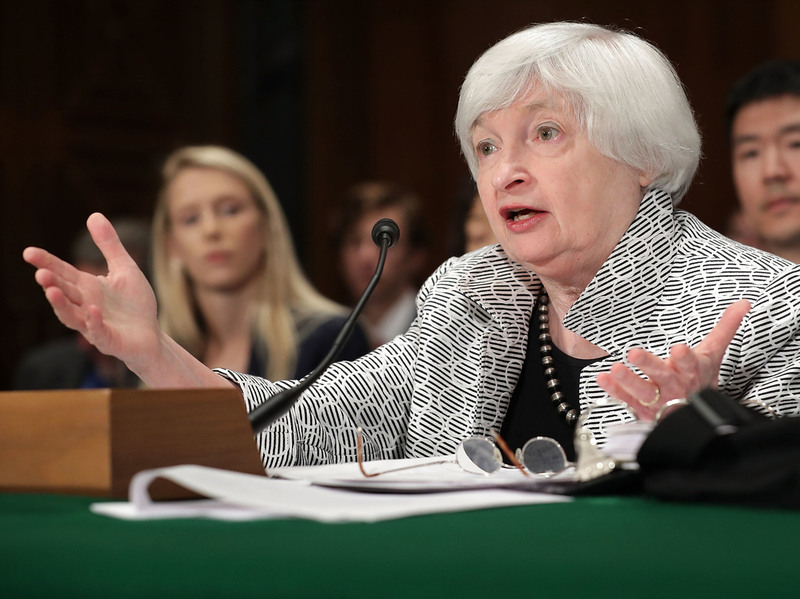 On Wednesday, the Fed said it will begin to unwind that stimulus very gradually. In October, it will begin allowing about $4 billion worth of mortgage-backed securities and $6 billion of Treasury bonds to mature without reinvesting the proceeds. That will reduce the Fed's holdings by $10 billion. The Fed said it will not sell bonds or securities in the marketplace to avoid flooding and destabilizing the financial markets. The Fed will gradually increase the amount of bonds it allows to mature. However, it will take years for the Fed to reach the level it sees as appropriate for the size of its balance sheet. Over the long haul, the unwinding will put upward pressure on interest rates. But Blinder says he doubts consumer interest rates will be affected at all in the short term.